This platform may have been in action since 2011, but everything about it screams modern and unique as soon as you load the home page up. Being operated by Dumarca Gaming Ltd, the platform is licensed by the Malta Gaming Authority and holds a second one in Costa Rica. This provides players with a safe, secure and regulated atmosphere for playing their favourite games in. The platform also contains international appeal, able to be viewed in various different languages, including Chinese, Greek and Finnish. Not only that, but while containing a huge amount of games from NetEnt, it also offers up a variety of different providers’ games, including those offered up by Thunderkick, Yggdrasil Gaming and Betsoft. 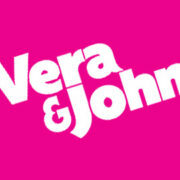 As a casino site, Vera & John is exceptionally colourful, featuring a wash of bright blue, while also pushing forth a beach and vibrant seas behind. Because of this, it may look a little bit busy on the main page of the platform, but on the whole, it’s fairly easily navigable. The bar across the top allows you to visit the different pages of the website, but if you’re just looking to get started with the gaming, the home page offers up a nice selection of them for you to access. Meanwhile, to the right of this, there’s a table with the latest winners included on it, as well as the most popular games based on player ratings, with NetEnt’s own ‘Starburst’ being top of the list by just under 1000 votes. As with just about all online casinos available today, new players registering to the site will be able to claim a welcome bonus to help boost their balance. Registering is simple and easy, just requiring you to enter your email address and create a password. Upon making your first deposit at the casino, you’ll be offered a bonus of 100% up to €100 on top. 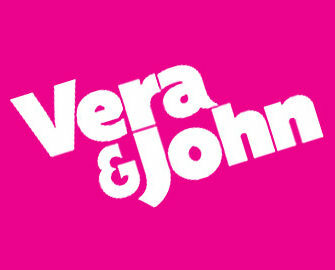 One great thing about Vera & John is that the casino bonuses have been simplified, according to the site. This is basically where your own funds and bonus funds are stored. They’re kept separately, so if you’ve deposited €200 and received a bonus of €100 on top, you can always withdraw your €200, or however much of it is left, at any time. This casino also has its own loyalty program as well. You’ll be rewarded for everything you do on the site, and this comes in the form of coins that you can use to purchase items in their shop. As you continue to collect coins, you’ll climb to higher levels. These are awarded for a variety of different things, starting from just making a registration and a first deposit, right through to logging in at later dates, placing real money wagers and rating games. As mentioned, NetEnt is one of the biggest providers of products for this platform, so if, like us, they’re one of your favourite developers, you’ll be fine here. Such games on offer include video slots, including ‘Aloha: Cluster Pays’, ‘Drive: Multiplier Mayhem’ and ‘Wild Water’, although you’ll also find a vast selection from other providers. These games are joined by regular classic slots, as well as the possibility of playing one of the many jackpots on offer. Titles include ‘Cosmic Fortune’ and ‘Mega Fortune’, both of which are able to provide huge pay outs. As well as these, there are two live casinos that are able to be accessed from the platform. ‘Casino Cosmopolitan’ and ‘Casino Paris’, which provide the live dealer options of blackjack, baccarat and roulette. Standard table games have also been added to this platform’s offerings as well, so you’ll be able to play a few rounds of ‘Joker Poker’ or ‘Pontoon’, or even ‘Texas Hold’em’. And finally, two games have been added to the ‘Others’ category, which are ‘Keno’ and ‘Ace’. 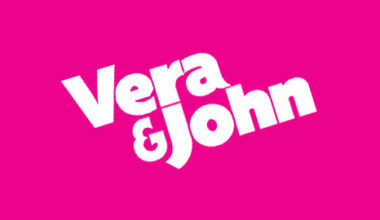 Vera & John only works with safe payment providers, according to the website, so you’ll be able to utilise your Visa or MasterCard products without any issues. There’s also the possibility of using eWallets in the form of NETeller and Skrill, while Paysafecards and Eco make up the remaining two. 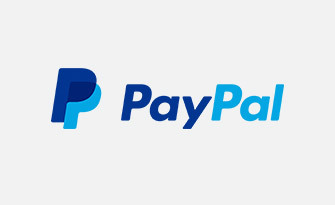 These are also able to be fully used for withdrawals, with the exceptions of Paysafecards and MasterCard options. 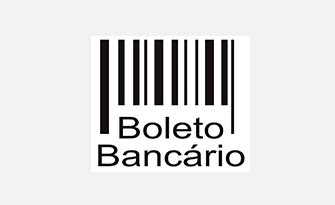 Bank wire transfers can also be taken advantage of. There’s a very thorough help centre at hand for those times when you’re in need of support, and this starts with the FAQ section of the site. Alternatively, if you’re unable to find the answer you’re looking for here, you can speak to a member of the support team via live chat, or you can make use of the [email protected] email address, or one of the dedicated phone numbers. This casino is definitely one of the more popular and well-known ones online. And although its welcome offer isn’t exactly riveting when compared to some others, it’s huge selection of games and intriguing platform design are more than enough to keep us coming back for more. Add to that the loyalty program and you’ve got yourself a great casino to access your favourite games at.